The American Marketing Association chapter at Ole Miss exists to connect students and prepare them for marketing careers. We strive to keep our focus on the benefit of our members by providing them with valuable career information, industry resources, and leadership opportunities. Ole Miss AMA provides marketing students the opportunity to get involved, network with peers, and learn from marketing professionals. It’s more than just a great résumé builder. Our chapter holds a wide range of events and activities. From LinkedIn workshops to national competitions, we provide events that matter. Students in any major can join. To stay updated on the latest meetings and events, Follow us on Facebook! The American Marketing Association was established in 1937 by visionaries in marketing and academia. Today, the AMA has grown to be one of the largest marketing associations in the world, with over 30,000 members who work, teach and study in the field of marketing across the globe.  The Ole Miss AMA chapter was started in the spring of 2013. Professor Scott Fiene, director of the undergraduate Integrated Marketing Communications program, noticed that students with marketing-related majors needed more opportunities to get involved outside of the classroom. With the help of several ambitious students, he started the chapter from scratch. More than anything, Ole Miss AMA is here to provide undergraduate students opportunities to connect with each other and enhance their future marketing careers. When you join Ole Miss AMA, you automatically become a member of the American Marketing Association, which is one of the largest and most respected marketing associations in the country. This give you access to great member-only resources and networking tools. Ole Miss AMA members take advantage of attending events that expose them to the job side of marketing and equip them to be prepared and successful when they graduate college. 1. Complete the national AMA signup process here. Be sure to select the “student” option. You do NOT need a faculty advisor signature. Pay your $50 AMA national dues. 2. Print and Complete the Dues Receipt! In order to join our Chapter, you must fill out and complete the Dues Receipt and have it turned in at the front desk of Farley Hall. 3. Turn in $10 for chapter dues to the Farley front desk with your Dues Receipt. Only $10 bills will be accepted. 4. Get involved and stay active in the chapter! Follow our Facebook page for quick updates. Students that join the American Marketing Association have the opportunity to get involved in many different aspects of the organization. Our Board of Directors lead our chapter and elect new directors each semester to take on various responsibilities. Get to know our current Board of Directors! If you’re interested in getting involved with leadership in the American Marketing Association, feel free to email one of our board of directors or come talk to us during one of our chapter meetings! Feel free to email us at OleMissAMA@gmail.com for any questions you may have, or leave your information below and we’ll get back to you ASAP! For stay up to date on all of the AMA’s activities, check us out on Facebook, Instagram, or email olemissama@gmail.com and ask to be added to our OrgSync page!